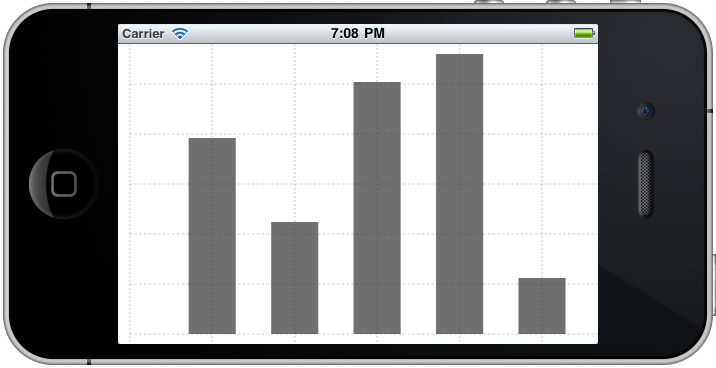 In the first part of my series Creating a Graph with Quartz 2D I explained the background work. Bar graphs are a popular kind of graph, so let’s learn how to draw them. First of all, I suggest commenting out the lines of code that draw the background image. We know how to do it if needed but let’s keep things as simple as possible here. We are passing a rectangle into the method, to fill it with the bar, and a graphics context to draw in. I find that a simple rectangle filled with a nice gradient works best for bars, so let’s learn how to draw one. If you prefer, you can modify the code that follows and draw, say, a rectangle with rounded corners but, once again, I prefer to keep things simple. The second parameter specifies how dark we want the fill to be, with 0 meaning black and 1 meaning white. In our case, it’s dark gray. The last parameter defines the transparency of the fill, with 0 being completely transparent and 1 being completely opaque. In our case, it’s 70% opaque. The graph already looks quite good and can be useful for some applications as it is. You might want to use some other color instead of gray, but that’s easy to do. Here is a link to the CGContext Reference, where you will find all of the methods that you might need. 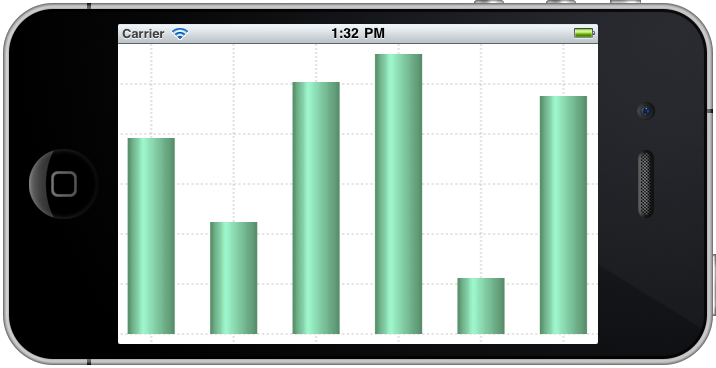 However, the graph will look dramatically better if we fill the bars with a gradient. Let’s see how this can be done. The way that gradients are defined and used in Quartz is somewhat verbose, but it gives us a lot of power. Here is all we need to know to fill our bars with gradients. Looks like the gradient doesn’t really understand how much space it is supposed to take up. We need to somehow limit the drawing area to the dimensions of the bar. This is where clipping path becomes useful. 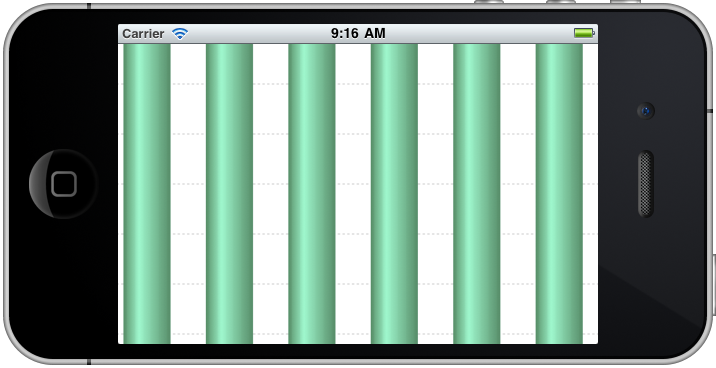 We now have a bar graph that is close to completion. We’ll need some labels, and we’ll need to respond to touches but these topics will be covered in a later part of the series. Another popular kind of graph is a line graph, and in the next part of the series, we’ll learn how to draw those, including gradients, plus a few other nice tweaks.